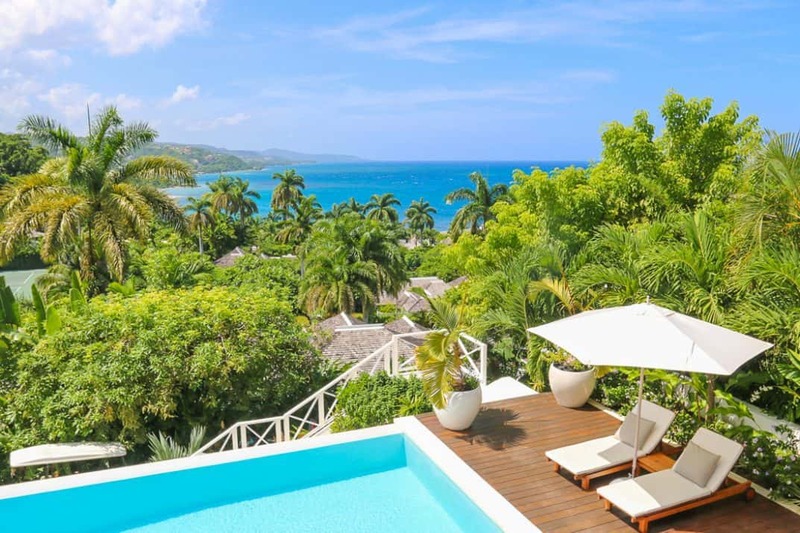 So how did Round Hill, a classic celebrity and socialite hideout, evolve into one of the best Jamaica resorts for families? Round Hill’s beach views are uncommonly pretty. 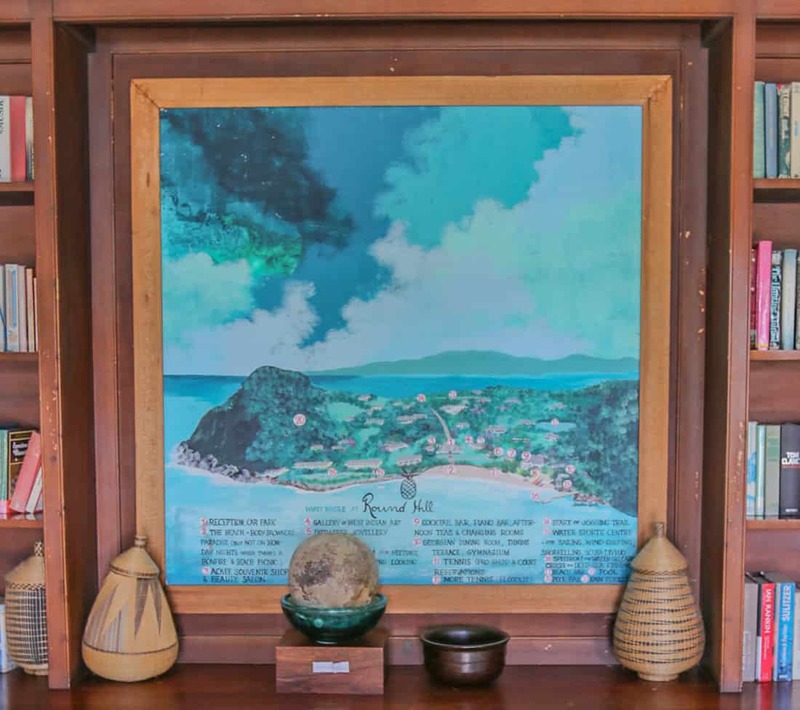 Its soil was ideal for pineapple groves, and the pineapple remains the resort’s icon. 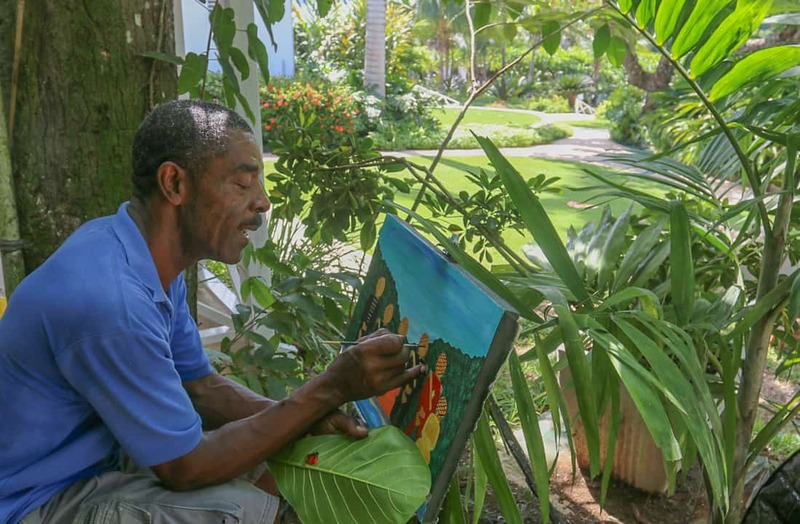 John Pringle, a Jamaican raised in the hospitality business, left New York City to return to his home island with the intention of creating a discrete, stylish enclave to lure. The resort’s original villas were individually owned but rented out when not owners were not in residence. 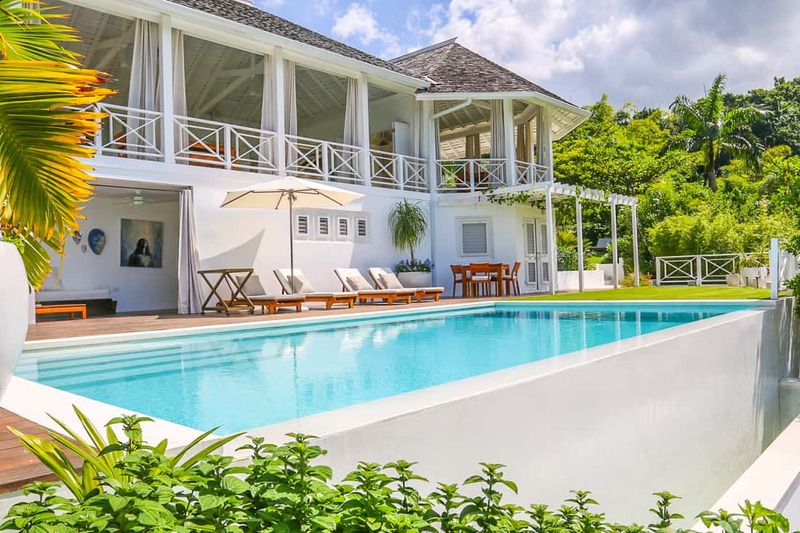 One of the many privately owned villas available to rent. Reflecting on the list of guests and villa owners over the years he indeed succeeded: John and Jackie Kennedy, Ralph & Ricky Lauren, Paul McCartney, Emma Thompson and Emma Watson, and Taye Diggs and Idina Menzel (who were married here in part because Mr. Diggs must have fallen for the property while filming scenes from How Stella Got Her Groove Back). Round Hill’s version of a lobby. 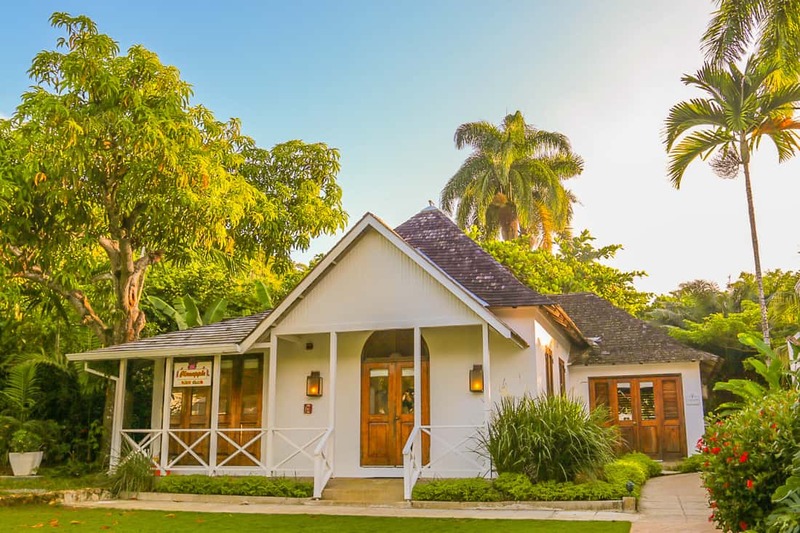 All paths lead to the Round Hill reception building that opens its doors onto the beach. 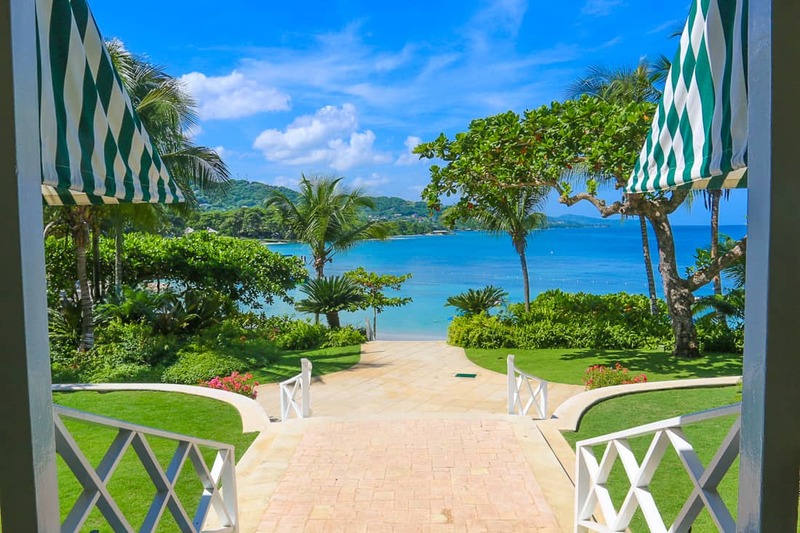 Incredibly private and expansive to provide every guest their own space in the sand, the Round Hill beach is calm, turquoise, and irresistibly swimmable. 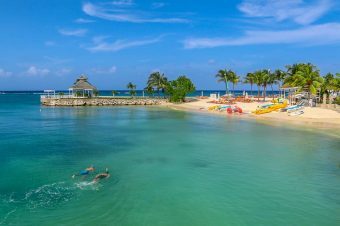 The protected beach is calm and great for swimming. Many beach chairs and a barefoot beach bar are naturally protected in shade by the branches of the low trees. 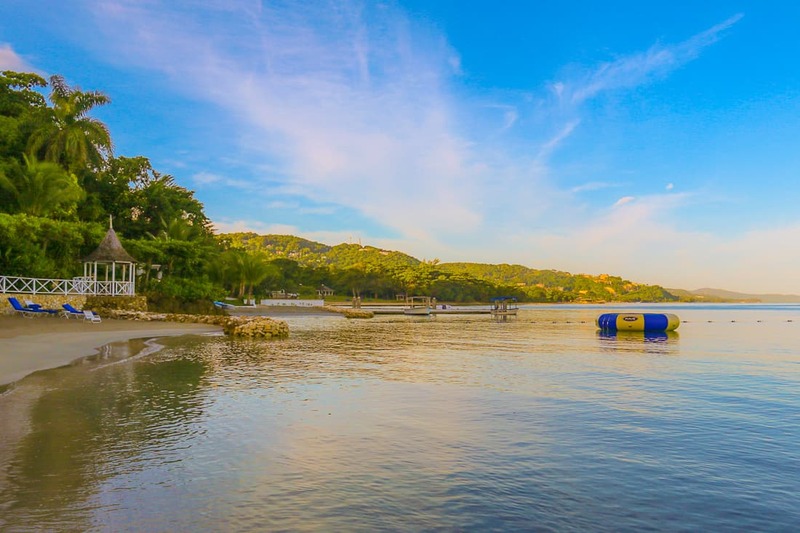 Swimming platforms and a water trampoline wait for guests who seek floating fun. The vibe is casual yet elegant. Guests mingle at the bar and engage in conversation about their travels or keep to themselves with a sunhat, glasses, and a juicy novel. The water sports team that can arrange glass bottom boat rides, paddle boards, kayaks, and snorkeling equipment. 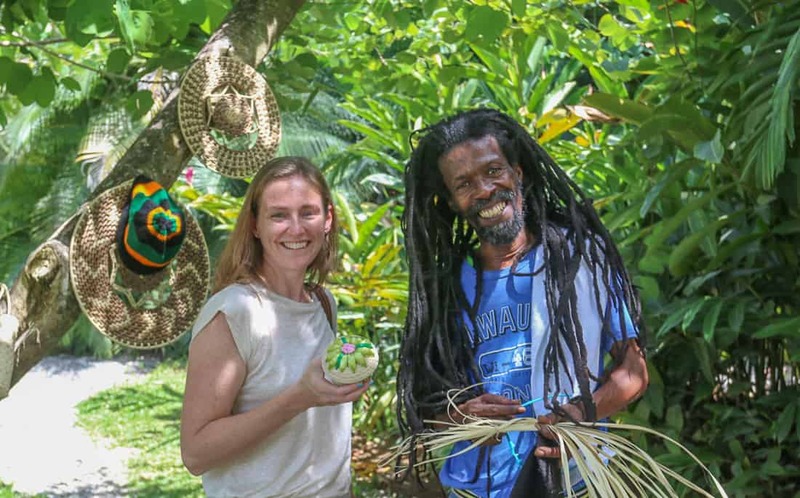 The resort will undertake a new initiative to regrow and populate their coral reef in 2018 to create a welcoming habitat for crab, lobsters, and fish to make these ingredients sustainable and as local as one can get. 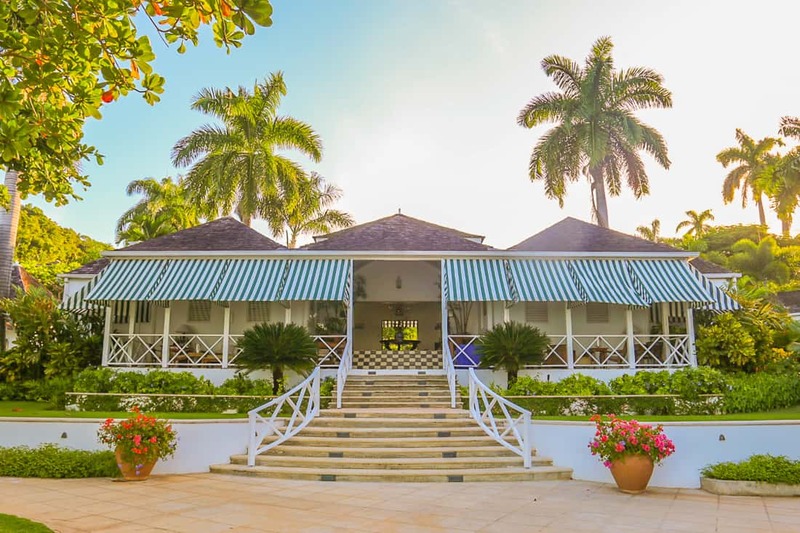 Round Hill started as a luxury villa resort with each featuring its own private pools and individual staff of housekeepers, gardeners, and babysitters. This privacy lured its well known clientele from the start. 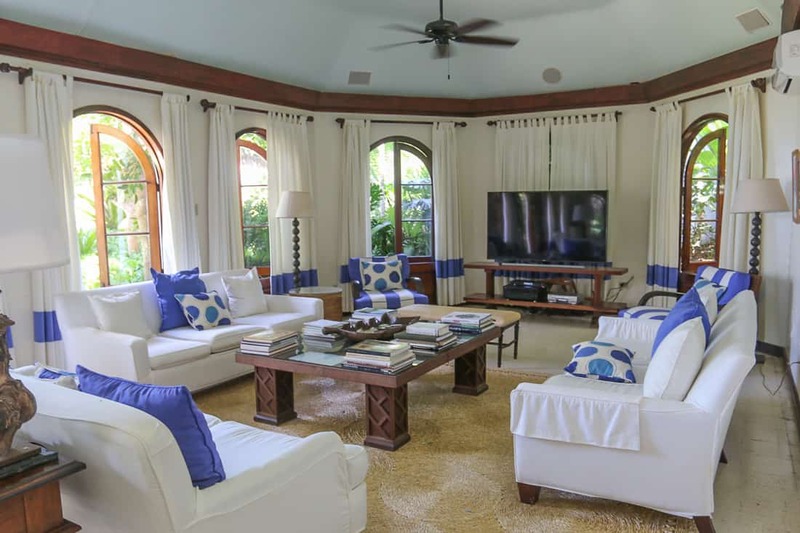 The villas are all uniquely decorated and vary by style at their owner’s tastes. Our villa shared a pool with the room next-door that would be ideal for families. The master suite included a living room in addition to the king four-poster bed. Our connecting room had two twin beds. White reigns as the featured color in most of Round Hill’s design. They are air conditioned with additional ceiling fans, but the design feature that I’ll never forget was the indoor bath with an outdoor, but private, atrium garden with a rain shower head. 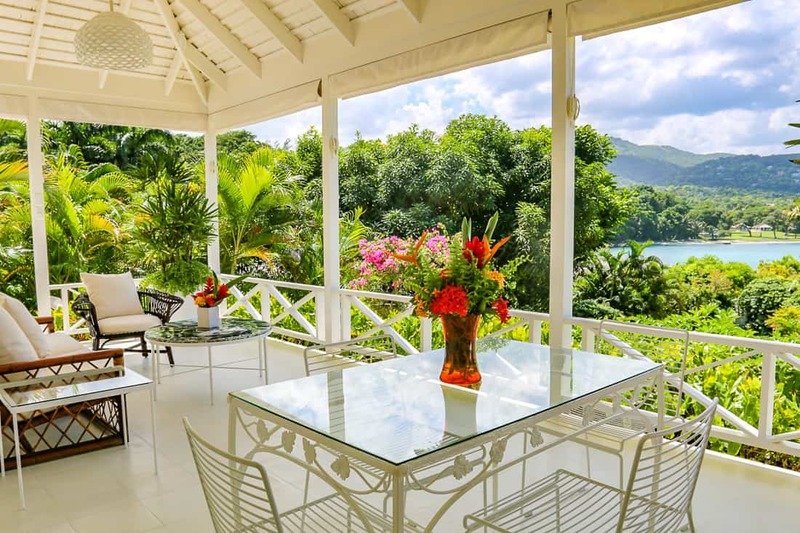 Villa views sweep down towards the sea. One significant perk of staying in a villa at Round Hill is that the housekeeping staff arrive each morning to prepare breakfast to order. The selection is as varied as a room service menu: eggs, pancakes, hot cereals, fresh cut fruit, breakfast meats, and more. 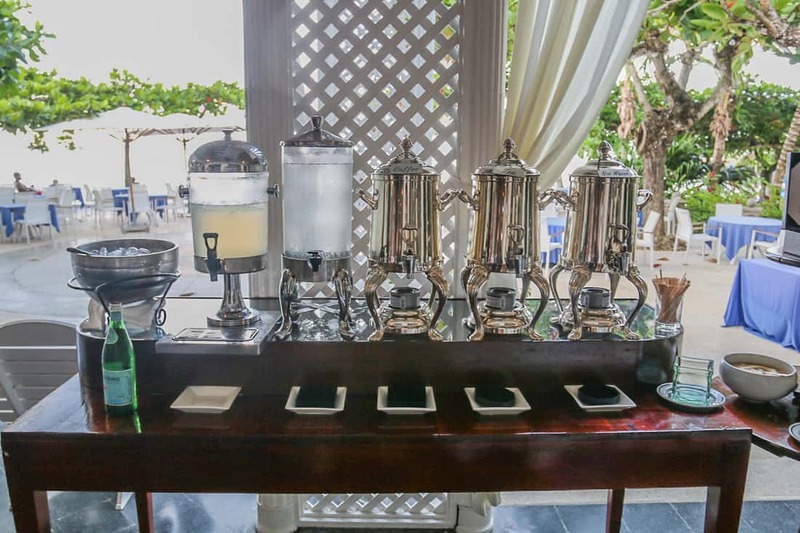 Villa guests enjoy cooked to order breakfasts in their villas by housekeepers. Service is very personal. 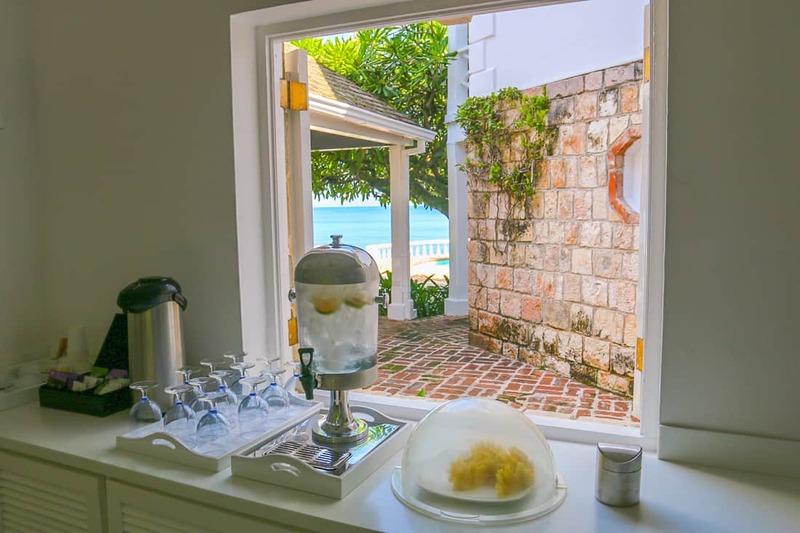 The only thing better than a week of pampering by fresh cut fruit, strong local coffee, and a sparkling private pool is the chance to get to know the housekeepers and groundskeepers. They will get to know your children by name very quickly, and your children will want either to ask them endless questions or follow them, mirroring them asking to help clean the pool or garden. 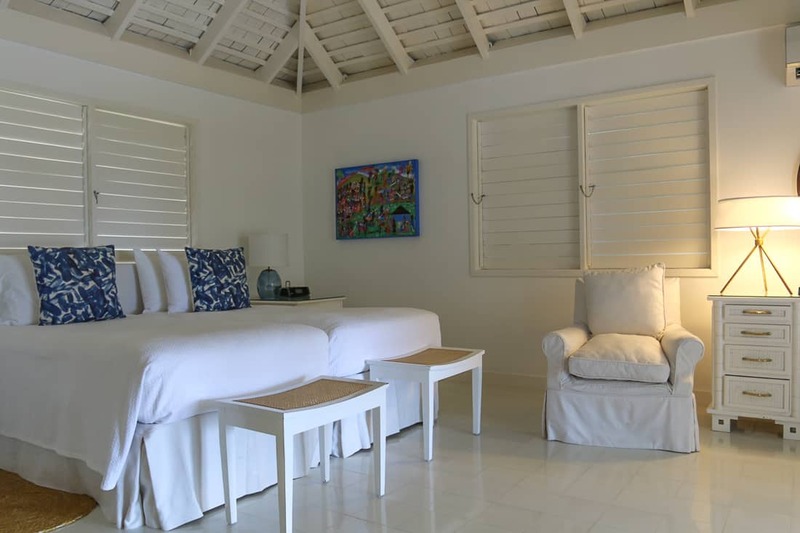 The Pineapple House offers rooms and suites in a more traditional hotel setting than the residential feel of the resort’s villas. They’re not too shabby. Ralph Lauren decorated the 36 rooms and suites awash in dreamy white with dark wood accents matching the decor of the library and lounge. The more traditional hotel rooms and suites in Pineapple House have a beautiful infinity pool. 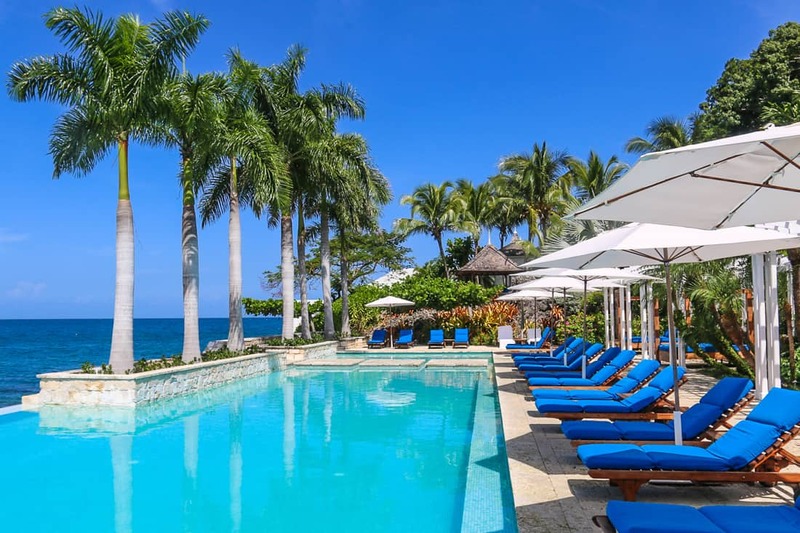 The Pineapple House rooms and suites are adjacent to the kids’ club and beach, and these rooms have their own stunning infinity pool area, so no one will feel neglected who doesn’t stay in a villa with their own pool. The Pineapple Room showcasing Ralph Lauren’s design of the resort. Children’s activities at Round Hill are impressive and targeted to two different age groups. First, children’s clubs are complimentary. 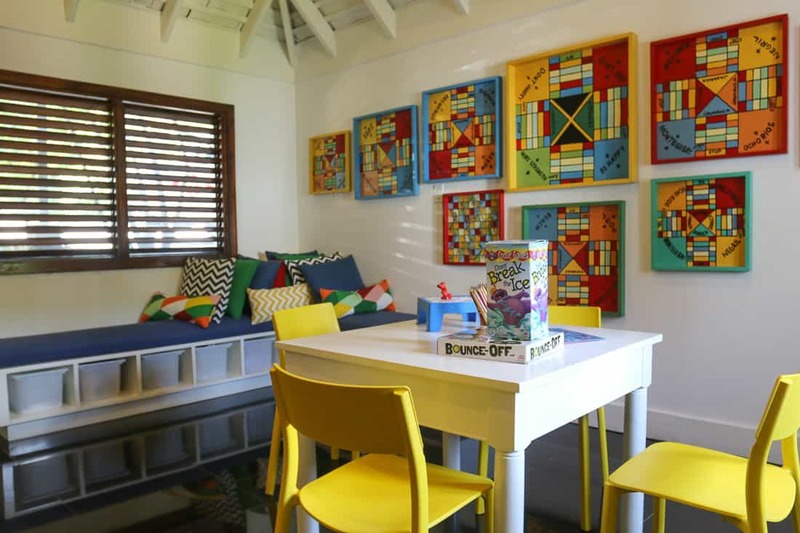 The Pineapple Kids Club serves children aged three to six years old. Younger children experience crafts, storytelling, and games suitable for their ages. The Pineapple Club and the 7-Up Club for kids is complimentary with daily activities. 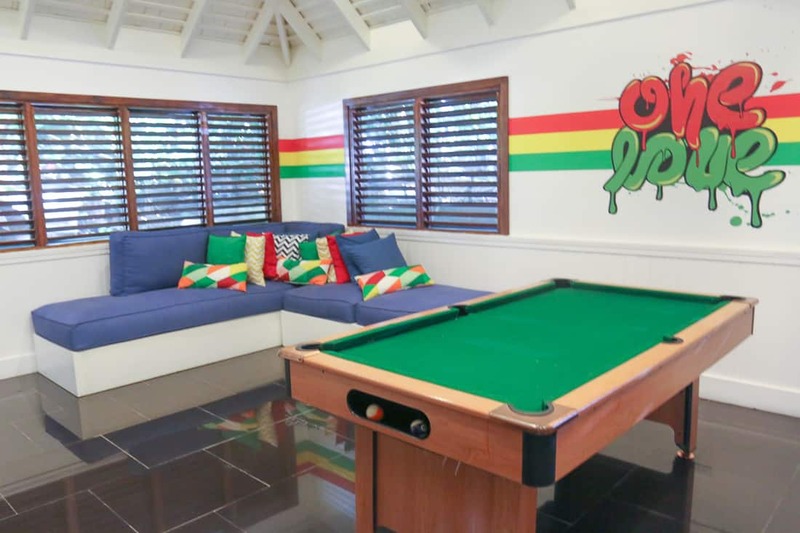 The 7-Up club offers older children and Tweens a large variety of games with a pool table, foosball, X-box, but there are plenty of outdoor lessons for them to embrace Jamaican experiences: reggae lessons, painting and basket weaving, and tours of the resort’s organic garden. 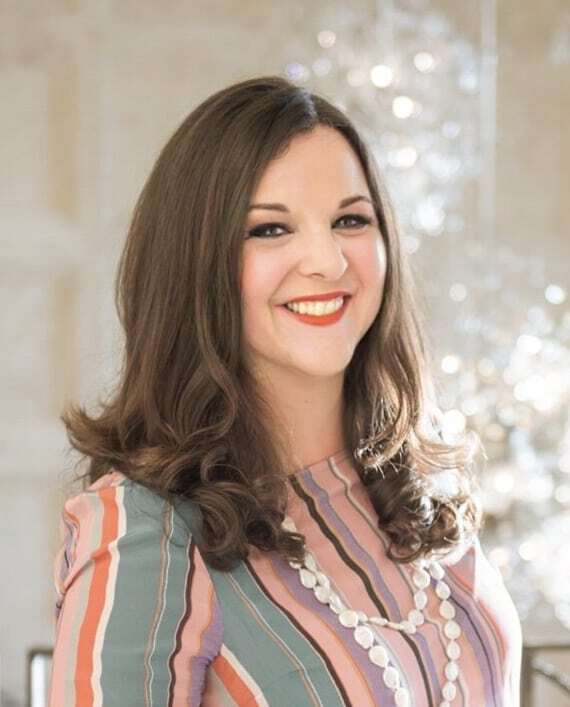 For families with children too young for the clubs, Round Hill offers the option of hiring a nanny who can remain with the family the whole stay. Guests of the spa are in for a treat. 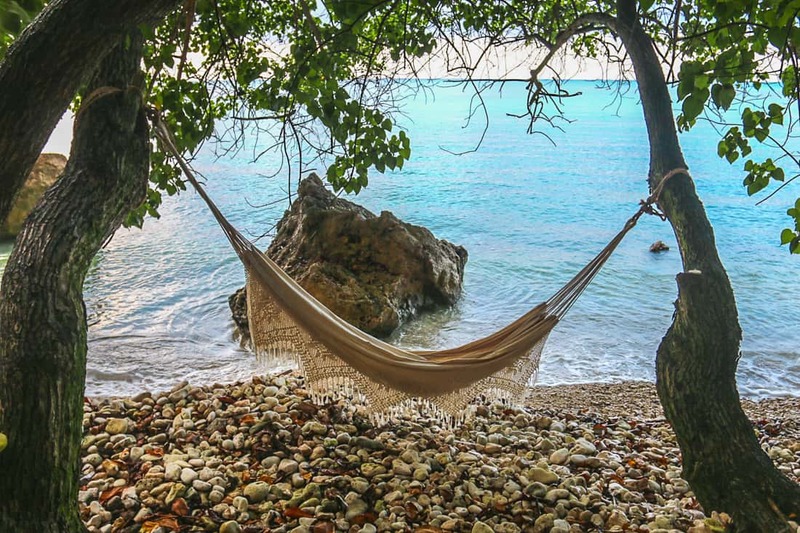 The walk to the spa area hugs a rocky shore with hammocks, multi-story trees with dangling vines, and little alcoves in the great rock walls that might feature tiny cairn. Throw in a few votive candles into this sight at sunset, and you are entering the realm of vacation fantasy. A crochet hammock awaits on the path to the spa at Round Hill. 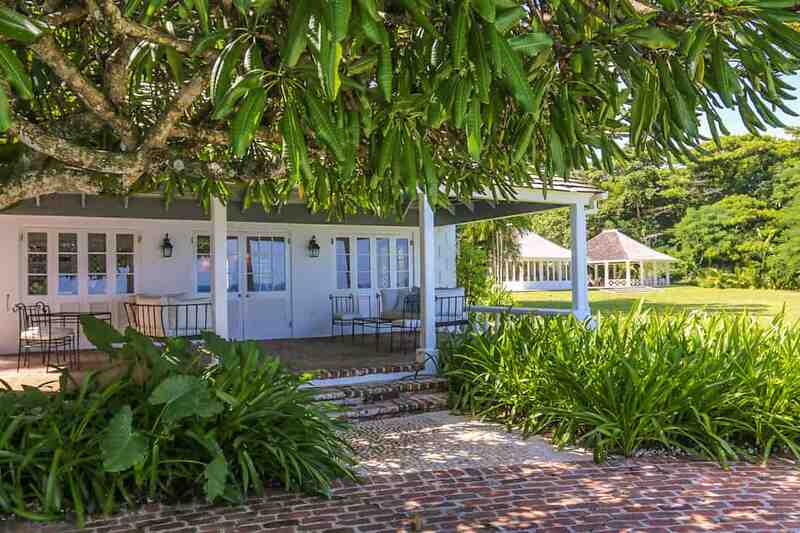 The spa is the original Great House, a term for the 18th century plantation homes when sugar cane made Jamaica the most profitable West Indian colony for the British empire. The Spa Entrance and boutique with the fitness center and yoga pavilion in the background. 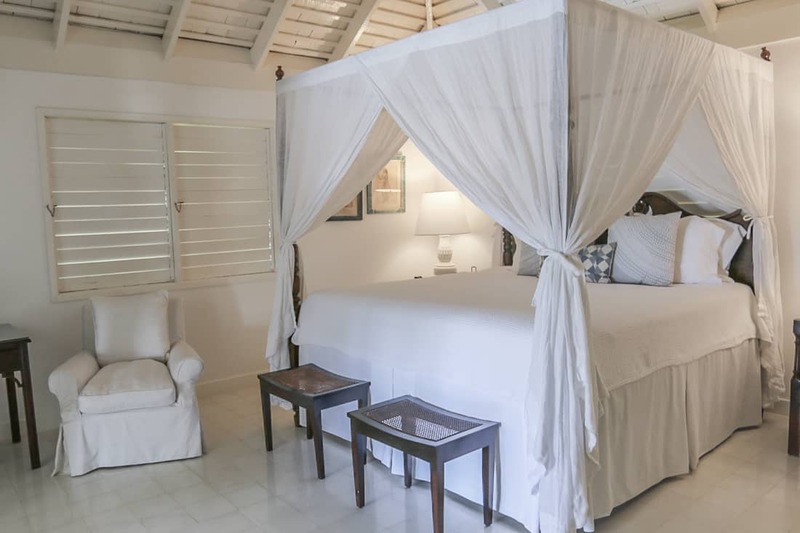 SIDE NOTE: Any Outlander fans will enjoy a stay at Round Hill as it is one of the few hotels in Jamaica to lend a bit of 18th century flair with Ralph Lauren’s lifelong loyalties to British colonial influences in his decor. Rose Hall, the fictional home of Geillis Duncan, is real and the most famous Great House. 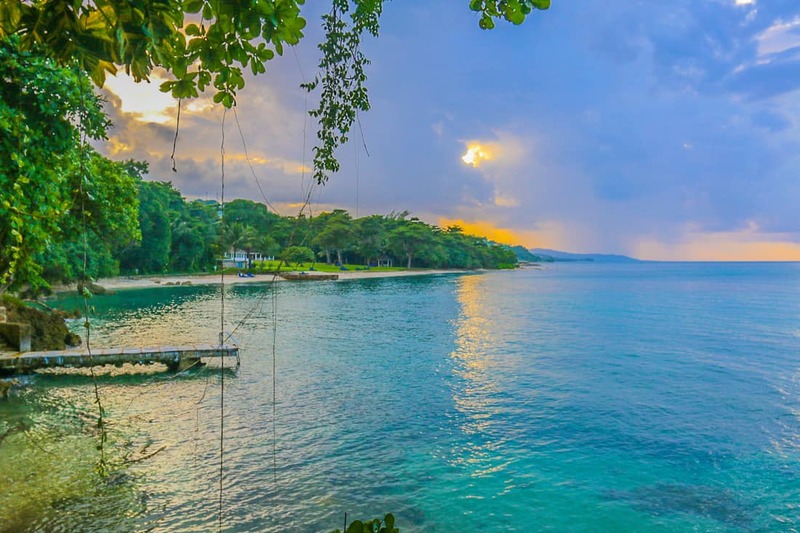 It’s is a short drive away from Montego Bay and open to tour. The Spa at Round Hill offers its own pool and sweeping lawns for those seeking some solitude, and a large fitness center and yoga pavilion are located behind it. It’s so easy to stay fit at Round Hill! Many treatments for children, beyond nail services, offer an impressive choice for families who all need a bit of rest and relaxation. The Mini-Me treatments are shortened massages and facials for children aged 4 through 11 that run 20 or 25 minutes. Children can also have nail and hair services, including full braids. The Spa at Round Hill is a boutique gem. I had a deep tissue massage, and my massage therapist exceeded my expectations for delivering a targeting and knot-busting experience one doesn’t always find. I couldn’t help but appreciate the stylish surroundings, too. Instead of institutional white one sees at most spas, I loved the use of vibrant and colorful fabrics to contrast the white walls of the building. A western facing resort means that the sunset is a lovely show every evening. Round Hill offers a boutique spa done very well with an authentic sense of place. It is not a generic high design, luxury spa found in large Jamaican resorts or others in the Caribbean. It is simply perfect. Round Hill doesn’t disappoint in the dining department. One of the occasional drawbacks of Caribbean resorts is the necessity of importing food, resulting in lackluster, expensive meals. Round Hill is no such place. Breakfast at Round Hill starts the day right. 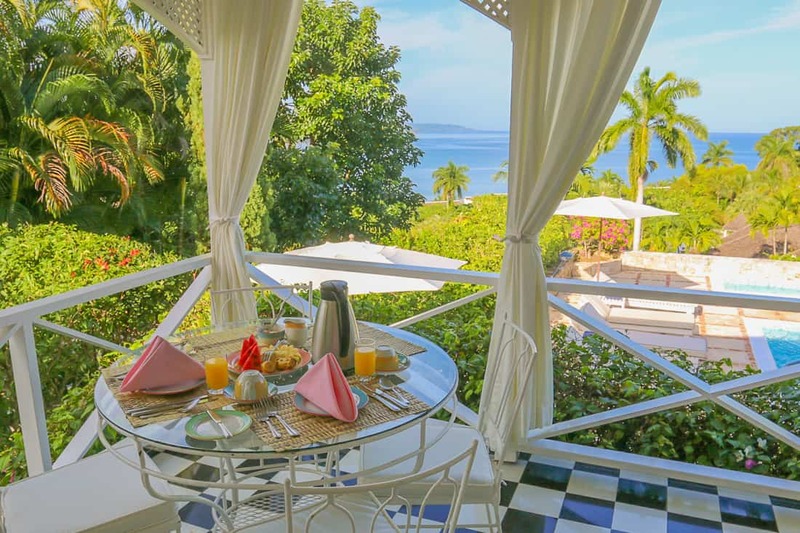 Guests in villas have their breakfast overlooking their private pools and gardens, and all guests have the option of dining and drinking freshly made smoothies at the Restaurant at Round Hill overlooking the ocean. 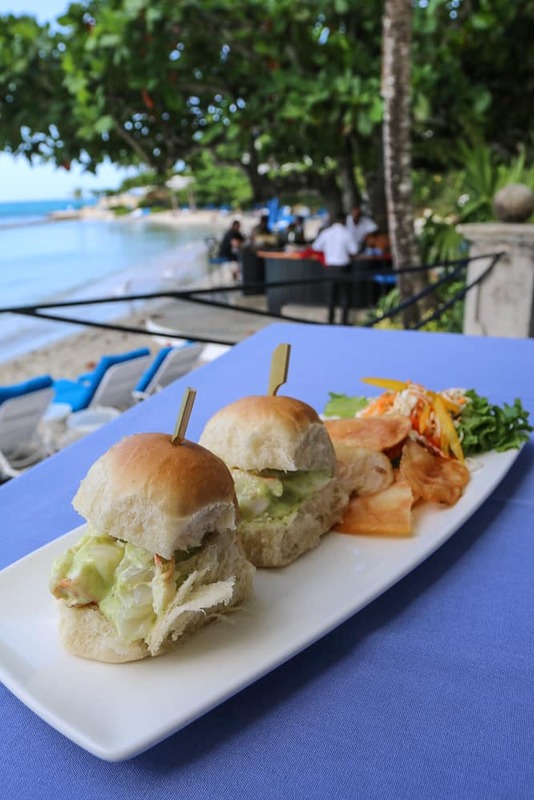 The seaside terrace is the lunch restaurant, but it also serves buffets on specific nights around themes like Jamaica Night or Beach Barbecue night. I enjoyed a beautiful bowl of gazpacho with crabmeat and lobster salad sliders. Each day Round Hill provides complimentary afternoon tea. In addition to tea, there other drinks available along with a buffet of tea sandwiches, scones, pastries, and crudités. They were delicious. Dinner is elegant and served in a second-story room overlooking the ocean, and the scene is filled with candles. It’s very romantic and not necessarily a good fit for many families. Round Hill, however, has thought this through and offers a few options for parents. Daily afternoon tea is free for guests. An early dinner is available at 5 PM with children’s menus in the cocktail lounge. Parents can hire a sitter while they dine at the main restaurant that opens at 7:30 if they choose not to dine early with their children. There is, of course, room service for families who find a 7:30PM dinner time a little late. Our entrées featured much of the produce grown either at Round Hill’s organic garden or from local providers as Round Hill is committed to participating in local farm-to-table cuisine whenever possible. I found the menus at all meals impressive and varied enough to retain guests’ interests during a week long stay. The quality and preparation of every dish was excellent. 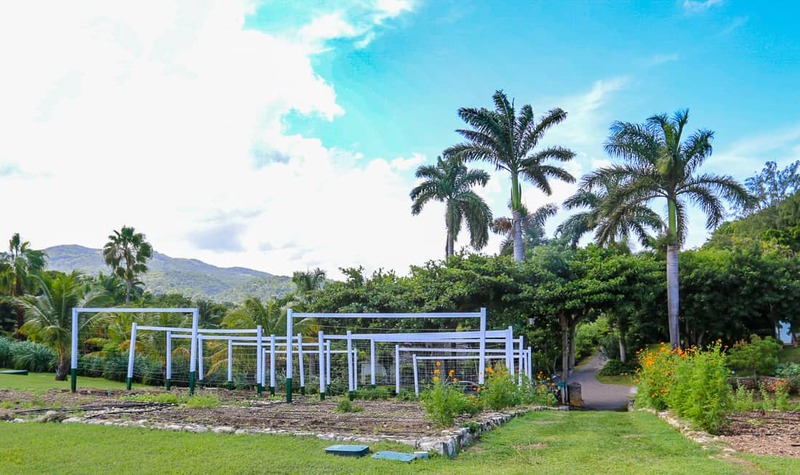 The organic garden enables Round Hill to offer farm-to-table cuisine. 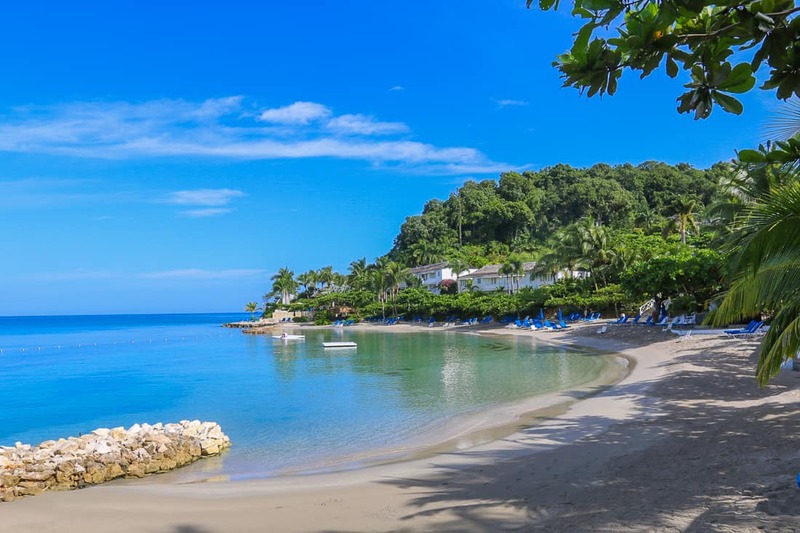 The resort’s executive chef Martin Maginley arrived in 2007 and led the way to Round Hill’s culinary acclaim within Jamaica and the Caribbean. He’s gathered a young crew of passionate and talented chefs, and it shows. We tried the house specialty, a scotch bonnet ice cream with the complicated and unique flavor of the scotch bonnet pepper provides. Try it with extra mango topping if hot and spicy aren’t your thing. Round Hill serves a specific type of luxury traveler who seeks a classic form of luxury. 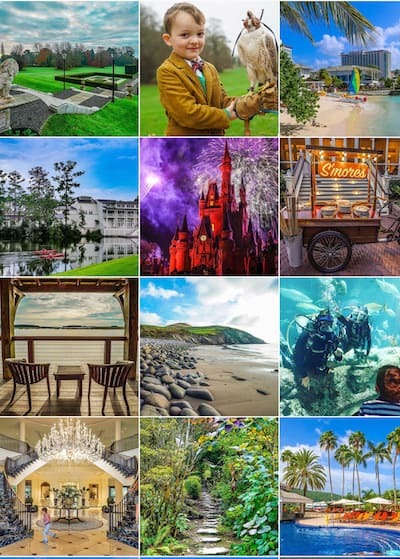 It does not serve the luxury traveler who seeks a five-star experience that comes with a large, modern building on the beach with multi-story windows, nor those seeking the indulgence of all-inclusive resorts. 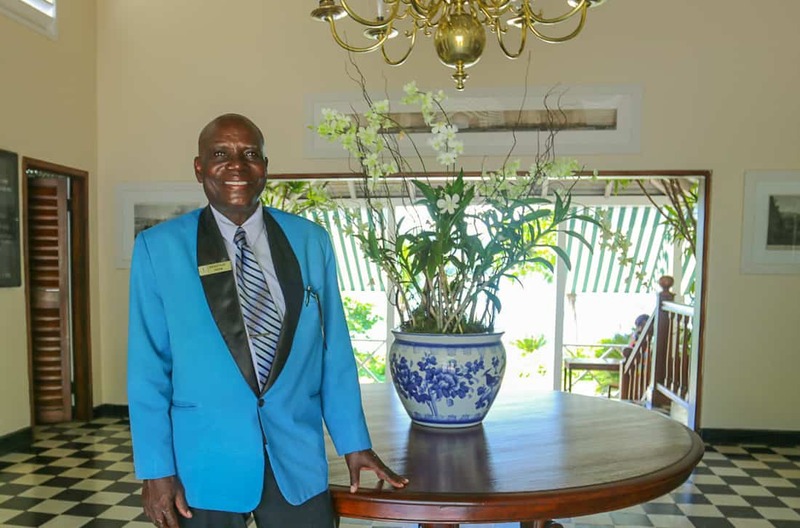 Kingsley Blake has been concierge at Round Hill for over 40 years. 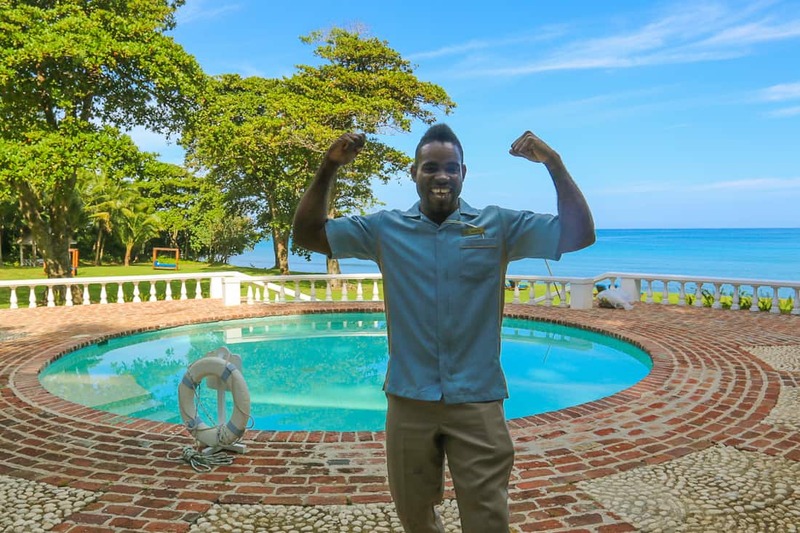 Many of its staff have been at the property for decades creating an outstanding team and an intimate continuity for its regular guests. Families often schedule their visits when their favorite staff sitters are available, for example. Children can learn to paint, or guests can buy a souvenir work of art. I was a guest at Round Hill when I was two and a half years old, and I actually have early memories making my way around our villa’s pool holding onto the sides. Both of my parents have passed, so the destination itself is hazy. I see my picture as a pigtailed toddler holding hand made dolls in the Montego Bay market, but I have to assume the details of our visit. The staff at Round Hill are the highest league of hospitality and are why guests keep returning. 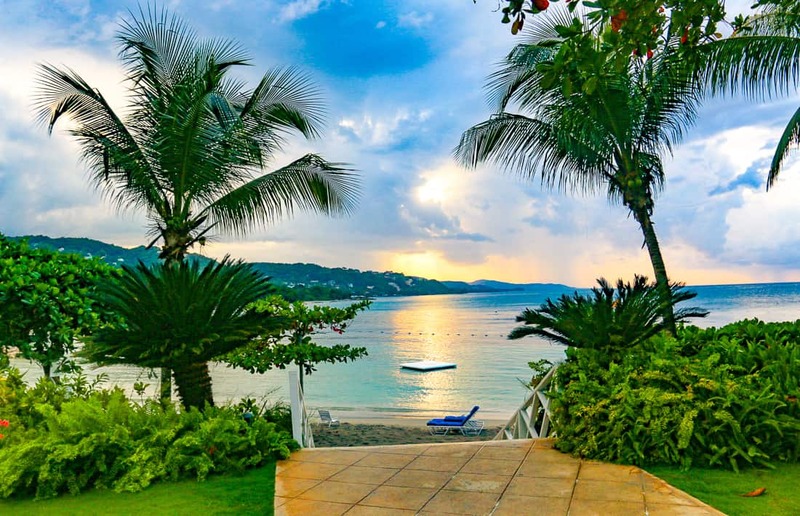 During the short drive (twenty-five minutes) west from the Montego Bay airport to the Round Hill resort, I just felt a beautiful awakening inside. 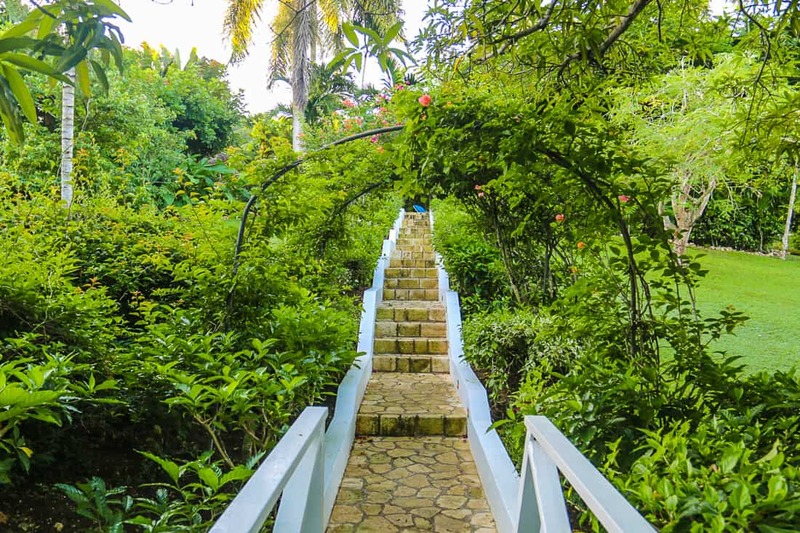 Every step I took on Round Hill’s lush property, I felt accompanied by my parents and enjoyed feeling my memories preserved from those faded photographs come to life for all of my senses: the sounds, the smells, the feeling of the warm water and humid air. Sometimes nothing is sweeter than taking the same path with our children that we took as children with our parents. I have no bigger travel agenda for my family this year than to take my children and husband with me back to Round Hill. 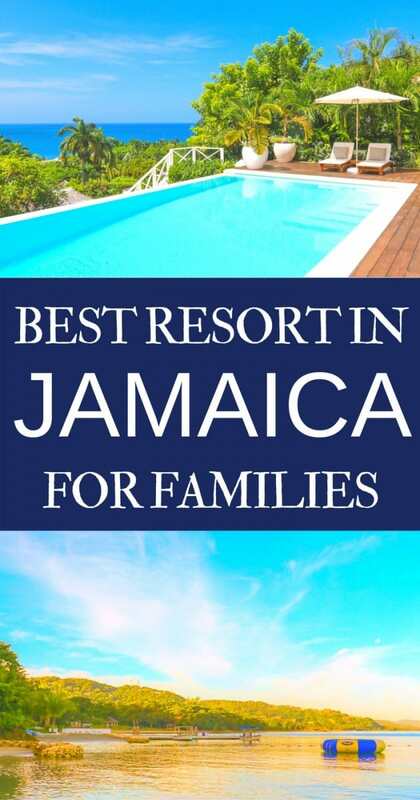 There are many types of family vacations, but few of them are truly restful for everyone. This is the place to slow down and connect and to share a collective sense of awe at the setting. Check your dates for rates at Round Hill. I was a guest at Round Hill, but these opinions are entirely my own. My family is Jamaican but I have never been here! I have heard amazing things about it and this post supports all of it! It’s definitely on my list.